Crystals are used to protect against negative energies, attract abundance, and even connect you to interdimensional planes of reality. 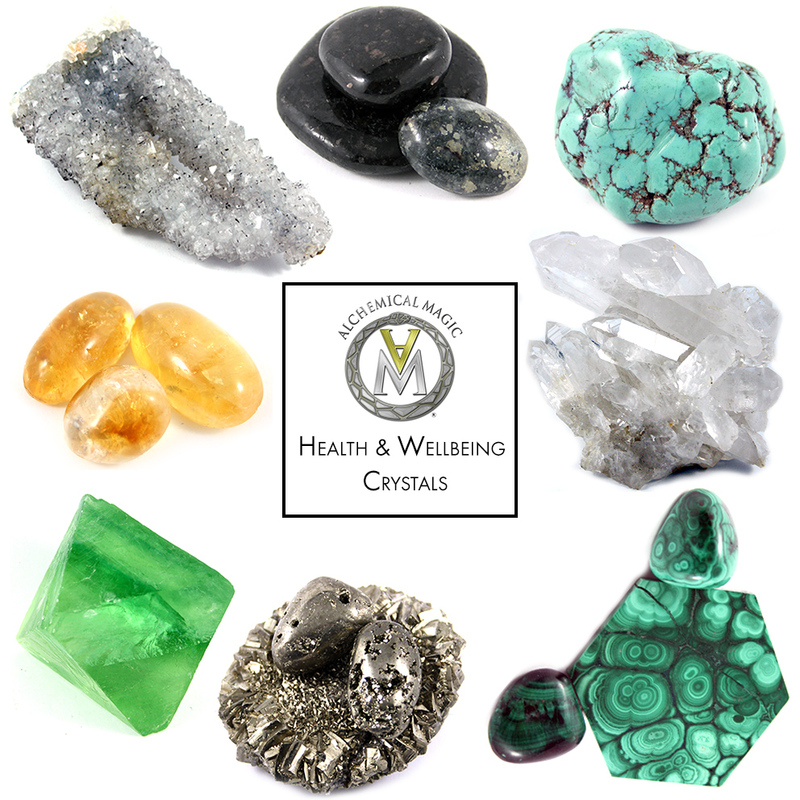 Each crystal and mineral has its own metaphysical healing property and can assist one in healing a range of ailments in the physical emotional and mental bodies. Individual crystals hold certain properties and a crystal grid combines the power of multiple crystals to build an energetic template that can guide one in the direction of one’s goals and create the changes one wishes to manifest in their reality. Crystal grids are simply combinations of crystals that share specific properties, that can work together to help one achieve a desired outcome, such as to help you enhance your natural healing ability, heighten intuition or create self-empowerment, manifestation and abundance. Working with a crystal grid based on Sacred Geometry and setting it up on a Full or New Moon, draws in another powerful energetic layer that enhances your grid even more so. Crystal grids on a Full or New Moon act as a means to consistently set your intention to attract those properties into your life. The New Moon is the birthing cycle of the Moons various phases, it represents fresh beginnings and opportunities. It’s the manifestation phase so it’s the optimal time to use its energy to support you with an opportunity to manifest change. Tuning in consciously to this cycle of the moon supports you in making desired changes in your life. The energy of the dark side of the Moon offers you a creative, nurturing time to birth your heartfelt longings, desires and dreams. The New Moon Kit contains instructions for use, A Crystal Grid & Crystals, New Moon Alchemy Candle, Sage, and Palo Santo. Each Full Moon provides you with an opportunity for closure and completion. . Through using Sacred Geometry, crystals and intent you can release stagnant, dormant and negative energy from your energy fields and environment by harnessing the energy of the Full Moon. Clearing negative energy on a regular basis from your environment and energetic fields creates an atmosphere of peace and creativity. The Full Moon Kit contains instructions for use, A Crystal Grid & Crystals, Full Moon Alchemy Candle, Sage, and Palo Santo. These Channeling Crystals have been specifically chosen to assist lightworkers, healers and those who want to connect with their spirit guides, to create a clearer channel to these energetic frequencies. This combination of crystals, work to open up your clairaudient, clairvoyant and clairsentient channels, to enhance your receptiveness to messages from higher dimensions. High vibrational stones like Herkmier Diamond, Quartz, Moldavite and Danburite help you to access these altered states of consciousness. Angelite, Kyanite and Lapis Lazuli heighten your channels and Black Shiva Lingams are incredibly powerful holy stones, which keep you balanced during the channeling process. The intuition crystal grid was created to help you to expand your awareness and open your consciousness. It assists you in coming out of the mental plane and helps to relieve stress and mental anxiety by encouraging you to rely more on your intuitive thoughts and feelings. Amethyst and Apophylite enhance creative thinking and help to awaken the intuitive intellect. Apatite stimulates your connection to the universe and fosters inspiration and “lightbulb” moments. Azurite and Lapis Lazuli work specifically with the 3rd Eye chakra, enhancing inner vision, psychic powers, intuition and the intellect. Citrine revitalises the mind, develops creativity and helps to bring your thoughts into reality. Green Kyanite encourages you to trust you ‘gut instincts’ and Clear Quartz amplifies the energy of the grid and works to maintain balance in the mental plane. In our dream state we have the opportunity to experience multi dimensions through astral travel. In this altered state we are more open and receptive to our unconscious mind and higher self as we are not restricted by rational and conscious thought. Setting up the Dream Crystal grid on your nightstand or in your bedroom can assist you in retaining the experiences and lessons you have whilst in these outer realms, once you wake. This can be beneficial as it can provide you with insights into current situations that are occurring in your life. The crystals chosen for this grid work specifically to open your upper chakra system and connect you to the universe. They stimulate insight, promote astral travel and connect you to your guides and light beings. The crystals in the Health and Wellbeing Grid work in combination to maintain and promote wellness on all levels of your being; physical, mental, emotional and energetic. You can set up the grid when you start to feel the effects of the flu or any other illness to assist you in a quick recovery. If you are feeling burnt out physically or mentally, or are feeling anxious, the crystals in the Health and Wellbeing Grid have restorative properties. They will leave you feeling refreshed and mentally / physically /psychic-ly recharged. Learn more about the specific healing properties of each crystal below. It is through the heart that we reach true enlightenment, not through the mind. The Love Crystal Grid enables you to heal deep emotional pain and trauma and most importantly feelings of separation from Spirit and your true self. When you can heal this pain you can reach new levels of unconditional love for yourself and toward others. The crystals in this grid were chosen specifically to open the 1st and 2nd chambers of your heart to promote intimacy, unconditional love and compassion. Through this opening of the heart and release of pain you will attract more love into your life as you let go of the emotions that have kept you separate. Meditation can provide us with an opportunity to enter a place of quiet within ourselves where we can observe our emotions, recharge and get to know ourselves a little bit better. We are constantly bombarded with noise and information throughout the day, so that many of us find it difficult to still our minds and push aside the mental clutter when we sit down to meditate. The Meditation Crystal Grid is designed to assist you in stilling your mind and opening your consciousness so that you can reach deeper levels of understanding and conscious expansion. The crystals chosen, work to open your 3rd Eye and Crown Chakras to enhance your inner vision, such as Kyanite and Clear Quartz. Shiva Lingams keep you balanced and grounded and Smoky Rutile Quartz activates your Kundalini. Learn more about the specific properties of each crystal below. When we can tap into our past life memories we can heal deep rooted karmic pain that can have an impact on us in this life. Karmic pain and cellular memories are stored within our bodies and stays with us through many life times. We are generally unaware of the specific circumstances that have caused this trauma and memories. By setting up the Past Life Recall Grid we can actively set our intent, with the assistance of the crystal grid, to reconnect to these past lives to heal karmic pain. It can also be used to tap into dormant gifts and talents and bring them through into this incarnation. Learn more about the specific properties of each crystal below. The Manifestation and Abundance Crystal Grid can be set up in your home or workplace, or any area in which you would like to increase your manifestation energy. 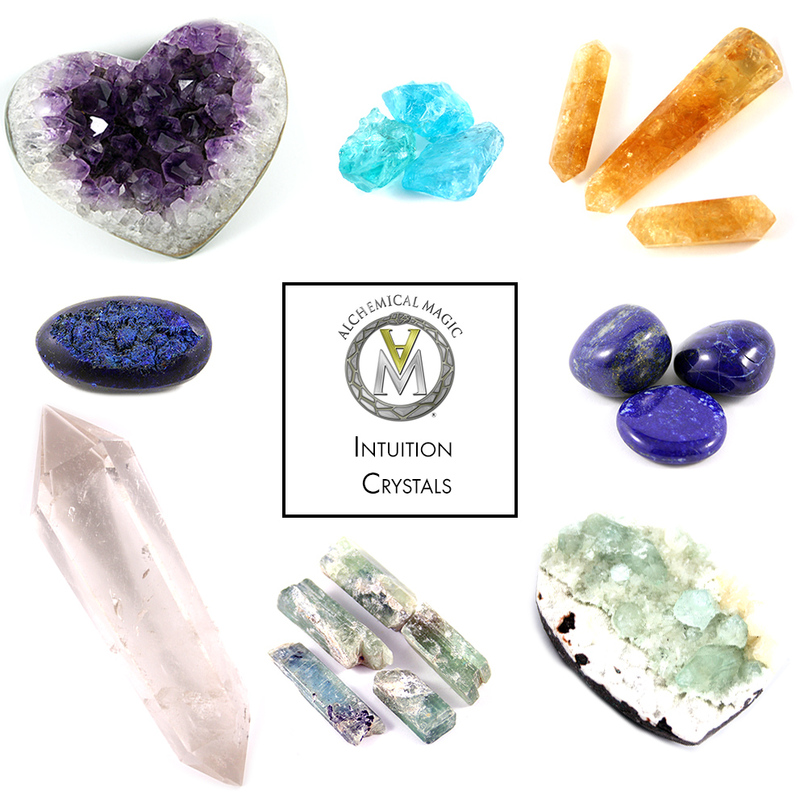 The crystals selected for this grid work to increase not only your financial abundance but also help you to tap into your natural gifts and talents. So that you may utilize these skills to increase abundance. You can set your intent to manifest anything which you feel you are lacking, not just money. The more energy you direct towards the grid the more powerful it can become. You may like to set this grid up at the same time as the Meditation Grid to amplify it’s power. Learn more about the specific properties of each crystal below and how they work for manifestation and abundance. You can set up a protection grid in your home, workplace or any space that you would like to cast a protective net around. The crystals chosen for this grid work together to shield you from all forms of negative vibrations on a physical, mental, spiritual and psychic level. The Clear Quartz works to purify and amplify the energies of the other crystals to enhance the impact of this grid.